"IMAGES FROM THE OTHER SIDE"
Iñaki Garmendia. "Red Light / Straight Edge". Participating artists: Jon Mikel Euba, Iñaki Garmendia y Anri Sala. In collaboration with: La Caja de Canarias. From 31th July to 14th October 2007 the San Antonio Abad Exhibition Room at the Centro Atlántico de Arte Contemporáneo (CAAM) in Las Palmas de Gran Canaria presents the Images from the other side exhibition curated by Peio Aguirre. The artists participating in this exhibition -Jon Mikel Euba, Iñaki Garmendia and Anri Sala- use darkness as their background canvass. From these depths, mysterious images arise –faces, silhouettes, atmospheres, sounds and even animals. A sensation of calm slowly infuses the spectator. The scenes, situated between action, non-action and stillness, are partially pre-determined (staged), being organised, in fact, with the aim of making something happen, thereby introducing a degree of chance that sometimes escapes the control of the creator. The moving image is structured by an elementary guide. The appearance of objects changes under certain light conditions. 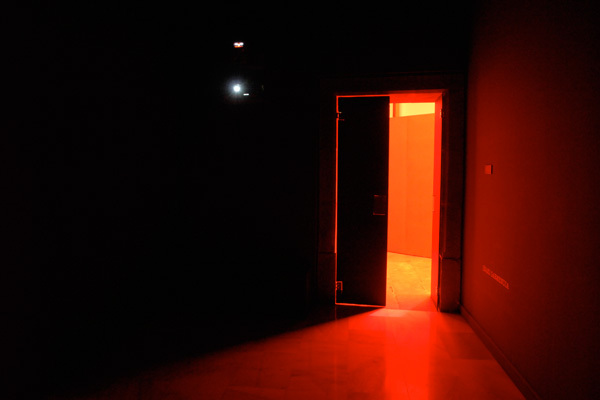 A red flame, a dark room and everything is reversed. The bodies are transformed by different light radiations. Day and night. Daylight and night light. The artists participating in this exhibition use darkness as their background canvass. From these depths, mysterious images arise –faces, silhouettes, atmospheres, sounds and even animals. A sensation of calm slowly infuses the spectator. The scenes, situated between action, non-action and stillness, are partially pre-determined, being organised, in fact, with the aim of making something happen. The moving image is structured by an elementary guide. The cohesion of the images is the result of a film-time effect. Continuation gives substance to the image, but duplicity thrives hidden in what is closest, revealing a strangeness when looked at carefully, a strangeness which was there on the other side of reality. Here, continuation is the basic condition for exploring reality and its unexpected limits. The narration issues from the continuation, like a slow-motion effect but in real time. The slowing-down takes place in the mind of the spectator; a concentrated fragment of space-time is experienced. An abstraction of "the shapeless" approaches lightly, creating contours, suggesting a barely explicit narrative. The subjectivities gradually metamorphose themselves, halfway between the deferred performance and the planned phenomenon. When the space disappears through the night effect, the screens take on the appearance of black holes from which a slender point of light emerges. 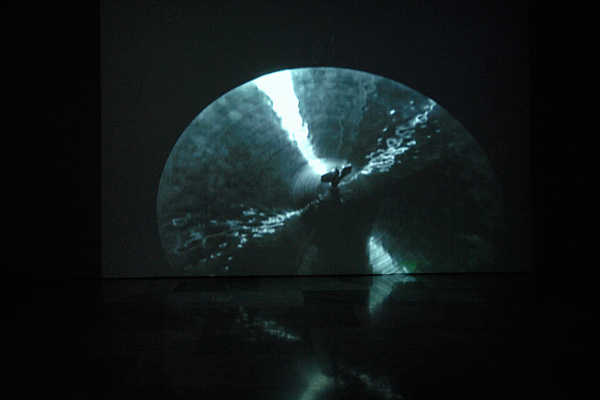 An ambiguous sense of space-time functions here as the prerequisite for a series of structural explorations with language and sound; a forced realism effect; a rock-poem is somehow fused with the sub-cultural and what we are left with is a collection of subjectivities in continuous movement; oscillations in the light and fluctuations of the voice. A stage recreated, some people, objects and animals that move like elements inside a composition, each one with its own list of instructions. 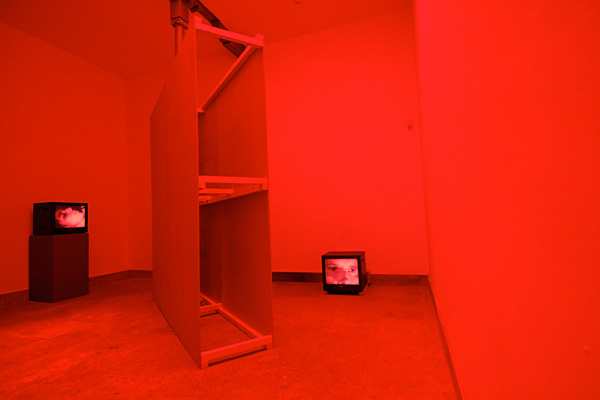 Iñaki Garmendia, Jon Mikel Euba and Anri Sala have their own approach to the rules of the game when it comes to videographic and cinematographic conventions, which reactivates the meaning of contemporary performance. An air of mystery surrounds the whole. Visual and auditory languages participate. The gaze intensifies, focuses on a blind spot and returns to the threshold of thought and memory.